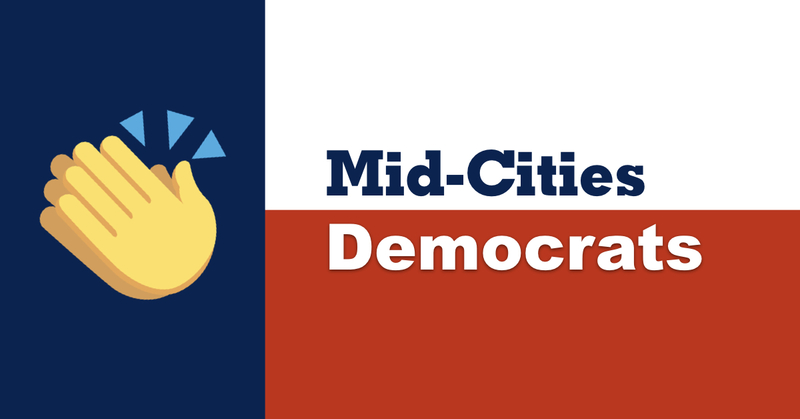 In lieu of a regular May meeting, please join council member-elect Salman Bhojani, council member-elect Dan Cogan, council candidate Cindy Shepard, and The Mid-Cities Democrats for our May Mixer to celebrate their wins and mix with new and old like-minded friends. A homemade taco dinner, drinks, and desserts will be served, and adult beverages available. Suggested donation to defray some costs and put money in the bank for the November general election: $15.